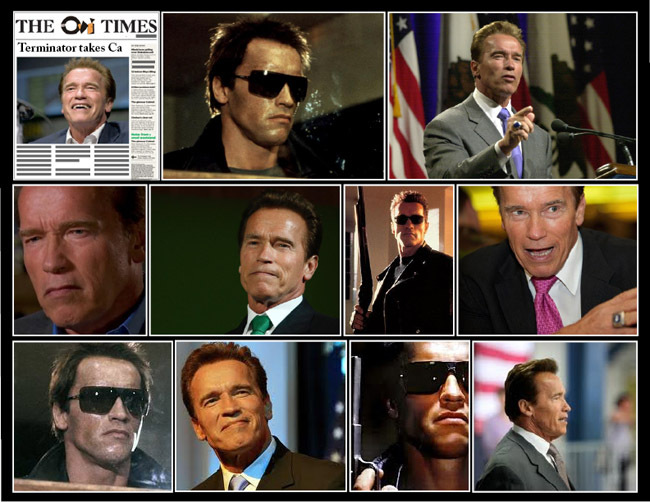 October 8th 2003; The film star Arnold Schwarzenegger has been elected governor of California, ousting the incumbent, Gray Davis, three years before his term was due to end. It is the first time in the state's history that a governor has been sacked mid-term. With most of the ballots counted, Mr Schwarzenegger has won almost 48% of the vote. In a victory speech before jubilant supporters, Mr Schwarzenegger thanked the people of California for giving him their trust. "I want to be the governor of the people," he said. "I know that together we can make this the greatest state in the greatest country in the world." He pledged to restore trust in California's government and to re-impose discipline on the state's out-of-control budget.